The building, adjacent to the public fountain, was built in the late 30s of last century during the fascist regime. It is worthy of attention for being a witness of Italian rationalist architecture. 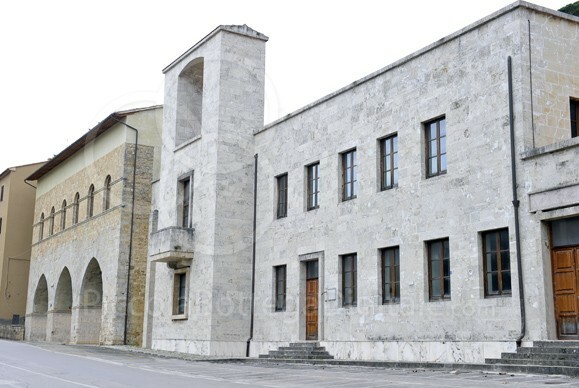 It was designed by Enrico Del Debbio (the same who in Rome has carried out many important works including the Foro Italico and the Ministry of Foreign Affairs of Farnesina), who tried, even with the use of local travertine, to harmonize the structure in the medieval context.